The location of our school lends itself to including outdoor learning into our everyday lesson planning. 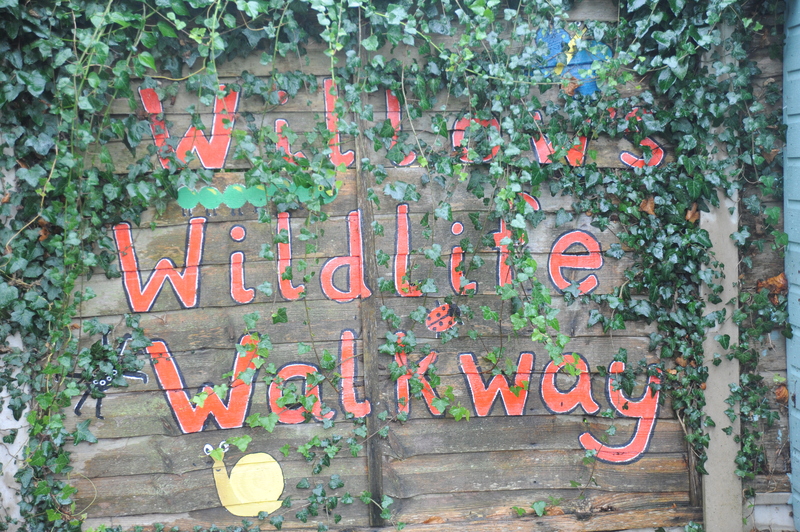 The children in this class go on a welly walks each week across the meadow and to the surrounding countryside. While walking they build on learning they have been doing in the classroom. In addition, they have an outdoor classroom joined to their indoor classroom. This enables them to take their daily learning outside all year round. 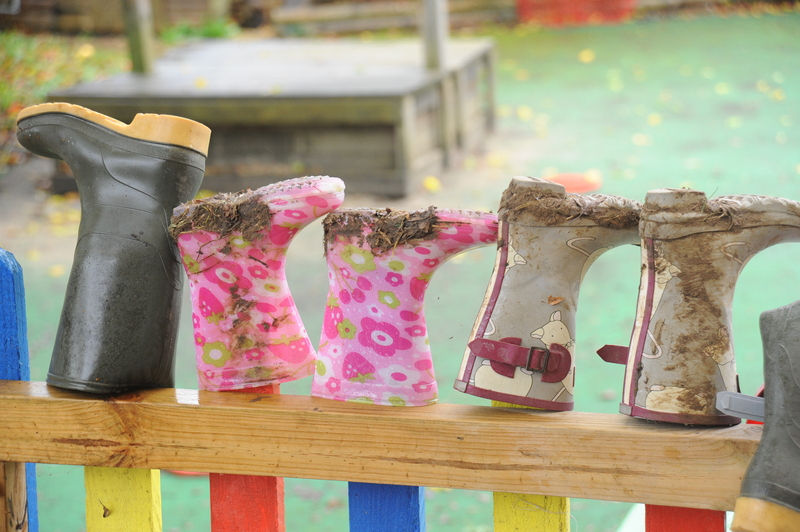 This age group welly walk regularly throughout the year and the children need to have their wellies and waterproof trousers in school at all times. The walks are planned to support the children in a specific part of their learning, for example, as part of a Science and Music topic on sound they investigated the sounds in the natural environment. These year groups use the surrounding countryside in their learning throughout the year. Examples of how it has been used in the past to enhance their learning are: measuring the unusual natural shapes on the meadow and calculating area; walking to a nearby farm to get a better idea of life as an evacuee; and visiting a nearby river to see for themselves how the shape of a river changes as it moves through the countryside. 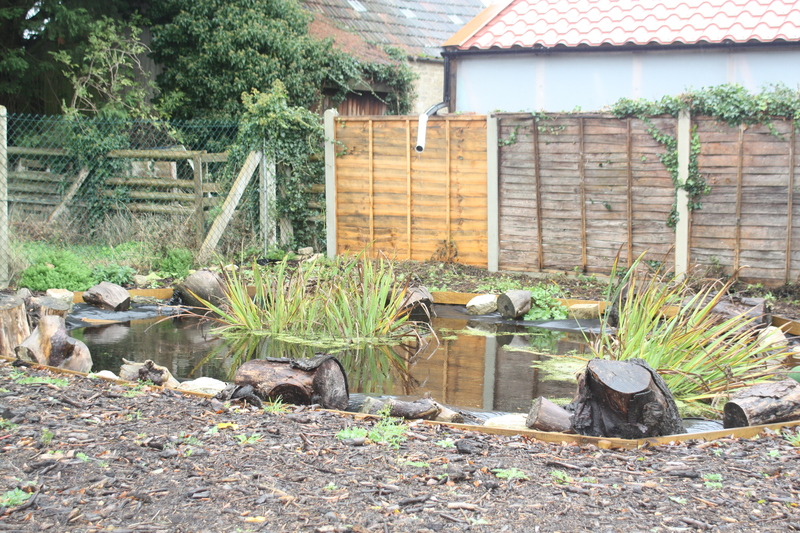 In July 2015 FOS funded a project to revamp our Outdoor Learning Area and with the help of The Nature of It and our parents the children are now able to enjoy the pond area, an outdoor learning circle, a quiet corner. Gardening club and all the classes now also have use of new raised beds and a polytunnel. We are looking forward to tasting the yummy produce as part of our school lunches.